Spend a day discovering Canada’s First Nations traditions. 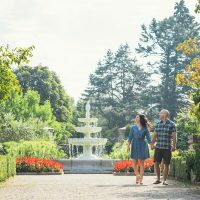 Here are eight great day trip ideas that will help you do just that in Hamilton Halton Brant. Woodland Cultural Centre, within the Brantford and Six Nations communities, is the place to discover the history, language, intellect and cultural heritage of the Anishinaabe and Onkwehon:we people. 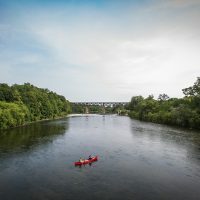 At Kanata Village, learn about the rich and diverse cultures of the Six Nations of the Grand River (Haudenosaunee/Onhkwehonweh) and other Indigenous people of Turtle Island. The Six Nations Tourism “A Day of Play” experience includes learning the history of and playing the ancient game of lacrosse, walking a nature trail, touring gardens, and trying archery. If your interests are more artistic, the “Love of the Arts” experience includes art exhibits and the opportunity to create art yourself. For history and culture buffs, the “Where Cultures Meet” package includes visits to historical sites, museums, and the modern day Six Nations. Her Majesty’s Royal Chapel of the Mohawks in Brantford is the oldest Protestant Church in Ontario, the oldest surviving church in Ontario, and the first Royal Chapel in the world belonging to a First Nations community. Tours are available and focus on the important role played by the Loyalist Mohawks in the early settlement of Ontario. 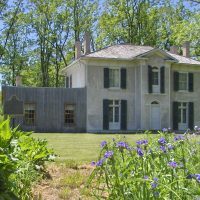 Chiefswood National Historic Site in Ohsweken is the birthplace and childhood home of Mohawk poetess E. Pauline Johnson. This unique mansion and museum features a selection of original furnishings and Johnson family artifacts. The grounds of this National Historic Site include rare grassland prairies, Carolinian forests, swamp lands and the Grand River. 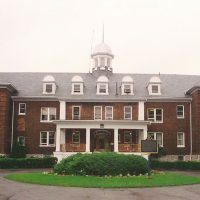 Rich in the history of both Mohawk and English cultures, a visit to this stately home provides unique insight into 19th century life. 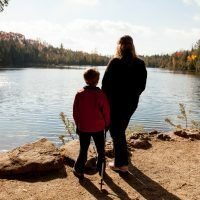 At Crawford Lake Conservation Area in Halton, explore the Iroquoian village and learn about local First Nations history. You’ll have the unique opportunity to explore two 15th century reconstructed longhouses, and regular programming like Longhouse Lore and the Season of the Three Sisters will have you learning about fire-making techniques and the importance of corn, squash, and beans to the First Nations. Paddle a Voyageur canoe or arrive at a Pow Wow by water. Grand Experience‘s 4-hour and 1-hour guided paddles take you to the Six Nations Reservation in 12-man Voyageur canoes. At the Two Row on the Grand festival, you can paddle with Haudenosaunee and partake in cultural teaching, interactive dancing, storytelling and sharing circles. This year you can even paddle to the Grand River Pow Wow. The Pow Wow is a way for First Nations people to share their unique customs and cultural identity through the heartbeat of the drum, song and way of life. The Three Fires Homecoming is a traditional Pow Wow hosted by the Mississaugas of the New Credit First Nations, and the Grand River ‘Champion of Champions’ Pow Wow at the Six Nations of the Grand River Community showcases pride in music, dance, arts and crafts. This fall, the Royal Botanical Gardens’ Arboretum is home to the Indigenous People and Plants Discovery Trail, showcasing the Anishinabek culture’s relationship with Ontario’s native flora. 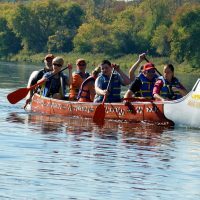 Whisper to the Moon is a one-of-a-kind paranormal night paddle with Haudenosaunee Guides on the Grand River.